At night before the kids all go to bed I sit in the family room and read to them. In the course of a couple years we have read the entire Harry Potter series, Huckleberry Finn, Tom Sawyer, the Little House on the Prairie series to name a few. Well, last night I read the final four chapters of Anne of Green Gables. This turned out to be quite the ordeal for me. Since I had read these books a number of times to myself I knew precisely what was happening next. As I read the last two chapters tears were flowing down my cheeks as I tried in vain to read without choking on nearly every word. "Mom, are you alright? ", my daughter inquired. "Ya, I just just love this story," I replied intermittenly through sobs. When it comes to a good story, bring on the bucket. There's gonna be a flood! As anyone who knows me can attest, I have a thing about paperclips. I like to wear them as earrings. The colored plastic-coated kind have been my favorites. They are the reason for the name of my site and blog. So, today, while at the grocery store, in the school/ office supply isle, I see something that catches my eye. The box says they are paperclips. 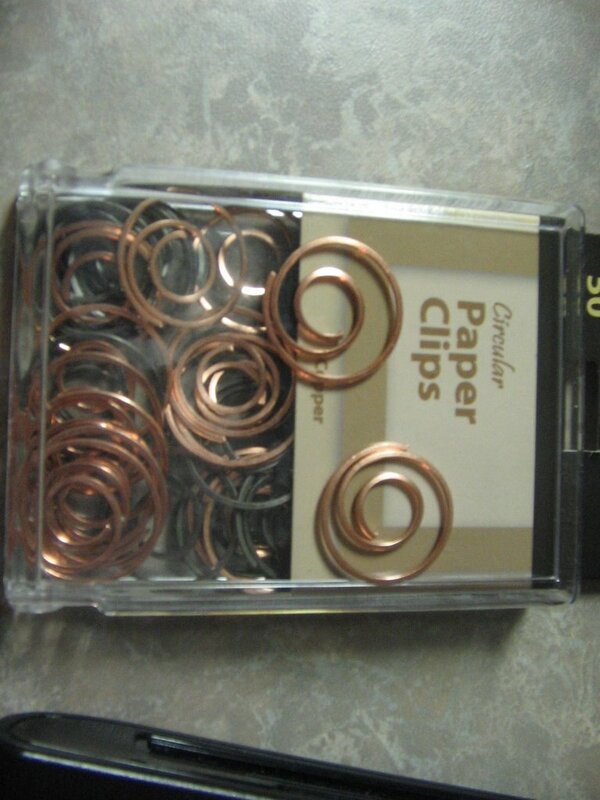 But these things do not look at all like a paperclip. I just have to see how these things work. So, I buy them, bring them home and later that day I have a new pair of earrings dangling from my lobes. Oh ya, and I figured out how they connect two pieces of paper together.